Marilla Ricker tried to run for governor in 1910, a decade before women could vote. In recent years, New Hampshire has gained a reputation for electing women to high office. Jeanne Shaheen was the first woman in the country to be elected both governor and US senator. This year’s marquee US Senate race is likely to feature Senator Kelly Ayotte versus Governor Maggie Hassan. In 2012, the state sent an all-female delegation to Congress. But generations before these women took office, an audacious feminist paved the way for their success, attempting a spirited run for governor in 1910, a decade before women even won the right to vote. Marilla Ricker had been agitating for women’s rights for years. She was the first female lawyer to practice in the state. She paid her property taxes under protest each year — arguing that without the right to vote, the yearly bill amounted to taxation without representation. She died in 1920, just days after the first election in which women could participate, leaving no record of having voted herself, alas. Ricker’s name has largely been lost to history, but that’s about to change. 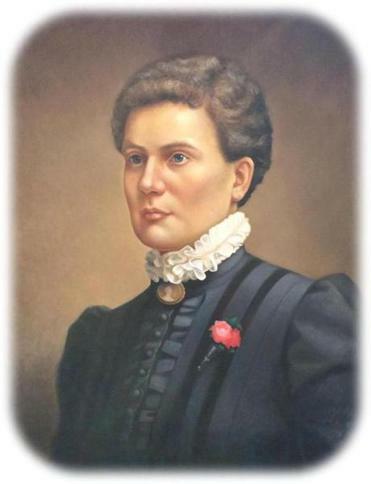 At a ceremony in Concord Monday, Ricker fans, led by the state chapter of the League of Women Voters and the New Hampshire Women’s Bar Association, will unveil a portrait of her by Vermont artist Kate Gridley. The painting will be hung at the State House, where women’s images remain rare. Felice Belman can be reached at felice.belman@globe.com. Follow her on Twitter @FeliceBelman.